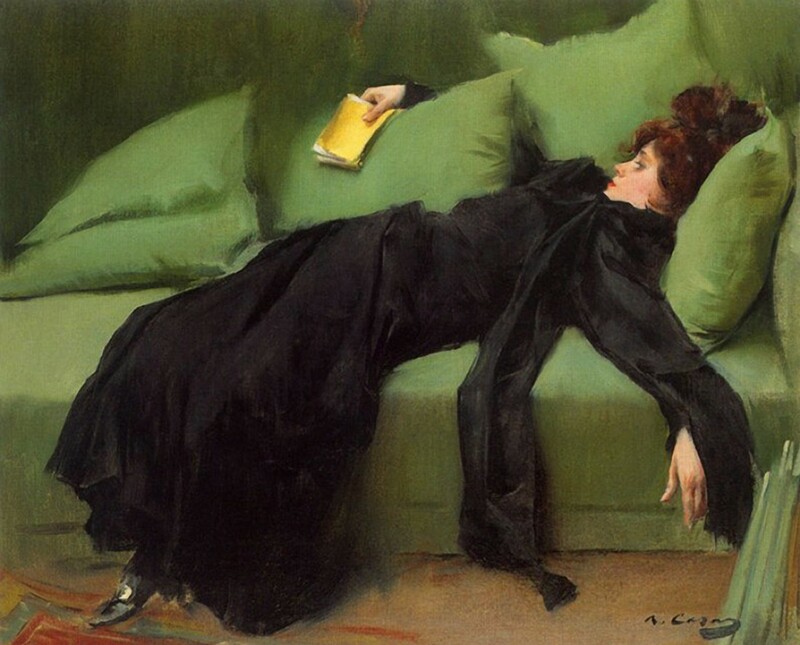 Ramon Casas, Decadent Woman, 1899. The first literary work I translated, France, Story of a Childhood, was my initiation into immersive translation. In this autobiographical novel, the Algerian-born author Zahia Rahmani recounts her turbulent childhood growing up in rural France during the 1960s. Her narrative is episodically interrupted by jumps forward to 2005, when her mother lies dying and race riots engulf Paris and other French cities. The tone of the book is alternately angry and sorrowful, poetic and explosive. The first time I read France, I was living in France, alone and far from home, increasingly aware of my own parents’ mortality and the limitations of time and place. The author’s mother’s accounts of Algeria made me homesick for my North African homeland, Tunisia, which I had also left at a young age. I dedicated hours to the technical aspects of the translation: mirroring Rahmani’s seamless shifts between verb tenses, making delineations between dialogue and stream of consciousness, reining in the prepositional confusion French often yields in English. But I wanted to go even deeper. Like Pierre Menard, Borges’s overzealous translator, I was convinced I could create a literary symbiosis if I just delved far enough. I listened to the Doors and Patti Smith on a “Zahia” Spotify playlist because the artists played an important role in the author’s adolescence. I read all the many books referenced in France. The novel includes passages in Kabyle, the Berber dialect spoken by the narrator’s mother, so I listened to audio clips of the language and consulted linguistic experts. I recited the entire text aloud a dozen times to ensure that the sonority of my translation echoed the original. I met Rahmani about a year after I began to translate her book. Here was a writer—an imposing, theatrical woman who towered over me in a black caftan—whose most intimate moments I had not only read but studied. A suicide attempt, first love and lust, grief over a deceased parent. I had absorbed her language and all the emotions it encompassed with such devotion and intensity that to have her before me was unsettling. I listened and didn’t say much. I was immediately seduced by Bouanani’s voice—acerbic, at times crass, his irreverence underlaid with nostalgia and sadness. Though his writing is more direct than Rahmani’s (no shifting tenses or competing narratives to unwind), assuming his voice proved more difficult. I had to navigate new linguistic challenges—Bouanani reveled in slipping expressions from the Moroccan dialect Darija into standard French. Midway through my translation, resentful of a full-time job that detracted from my craft, frustrated in my search for a publisher willing to publish this mad little gem, I got off track. The connection was lost. How could I reimmerse myself in Bouanani’s universe? I started with simple things. The cyclamen flower: What does it look like? What does it smell like? The task was complicated by the narrator’s faulty remembrances—his cyclamen is based on “imagined memories of something close to an ivy or poppy or maybe also a rhododendron.” I could conjure Bouanani’s literary influences—Borges, Buzzati, Cendrars—but accessing his filmography was more difficult. And then—ironically, considering the subtext of The Hospital—I got sick. I suffered from a myriad of symptoms for a condition that took months to diagnose and more to resolve: debilitating vertigo. Like the anonymous narrator of The Hospital, I found myself “pitching like a drunken boat,” navigating the muddled boundaries between up and down, left and right—dizzy all the time, whether sitting or standing, often falling. At times, the vertigo was so intense that I would lie down on the floor of my home office for a minute or five or thirty. Flat on my back, I would think of Bouanani’s narrator, lying in his hospital cot, overtaken by vertigo and delirium, mushrooms sprouting in his brain, floating above his bed and watching his body below. Eventually, unable to walk unassisted, I ended up in the hospital. My hospital, of course, differed vastly from Bouanani’s. Foremost, it had clearly marked exits. I had entered of my own volition and could leave when I wanted. But amid the incessant hospital noises, the boredom and fear, the niggling IV in my arm, I couldn’t help but think of Bouanani, confined in a mysterious institution, breathing “murderous hospital air,” with undiagnosed afflictions and inadequate care. I repeat: translation is a curious craft. The translator is both invisible and visible everywhere. The translator accesses a character’s life and memories, fictional or real, in an all-absorbing act, seeking to re-create sensations evoked by one language into another. Spending hours reading, researching, analyzing, and finally translating can foster a connection that is both comforting and deceptive. At times, a line or word from Rahmani’s or Bouanani’s novel unexpectedly pops into my head. It takes me a second to place it and shake it off as not my own. I’m translating another novel set in the medical universe, about a young woman afflicted with a mysterious ailment—she experiences excruciating pain when anyone or anything touches her arms. The novel centers on her quest to find a diagnosis and a cure. Here’s hoping that the act of translation, while still immersive, will be gentler this time around. Lara Vergnaud is a translator and editor based in Washington, D.C. Her work has appeared in Words Without Borders, Asymptote, the Brooklyn Rail, and elsewhere.